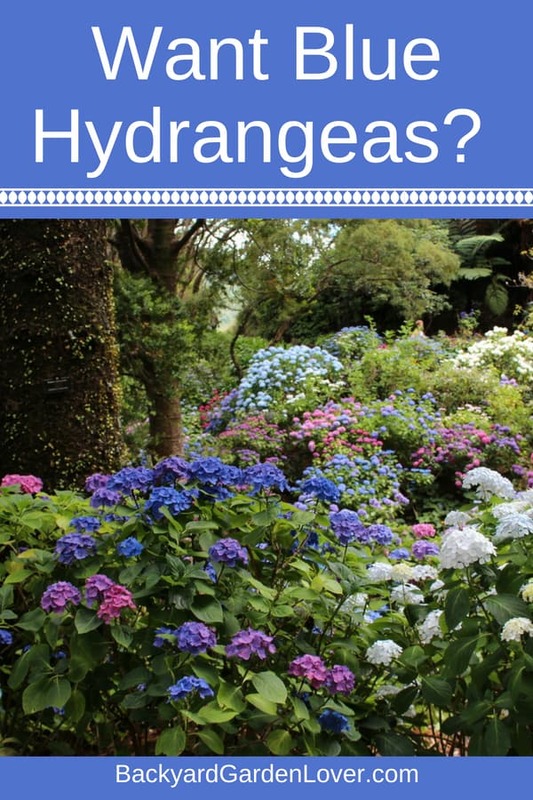 You want a specific flower color on your hydrangeas. Do you have to buy them that way, or can you change them yourself? 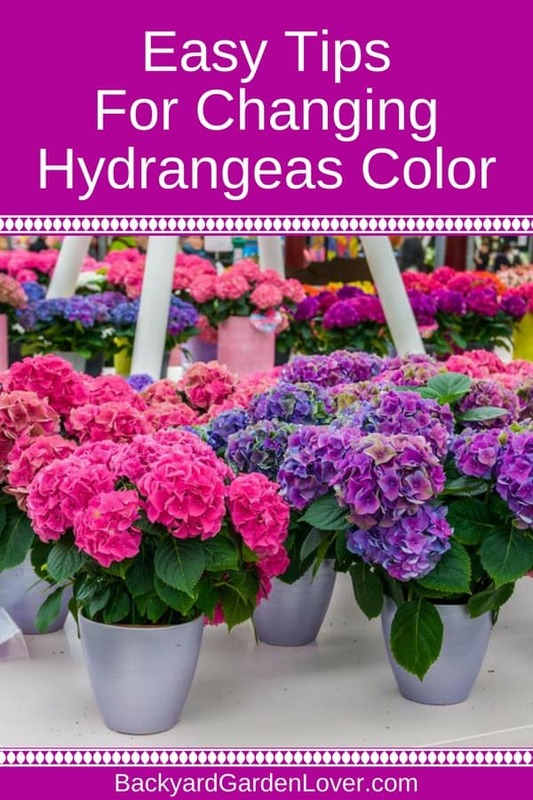 Learn how to change hydrangea colors: easy and so beautiful!!! Hydrangeas are a very beautiful plant and one reason they are so popular in gardens is that they have the unique ability to change a variety of colors. The color of the flowers that bloom on these bushy plants can take on many shades of red, blue, pink, purple, white, and more. 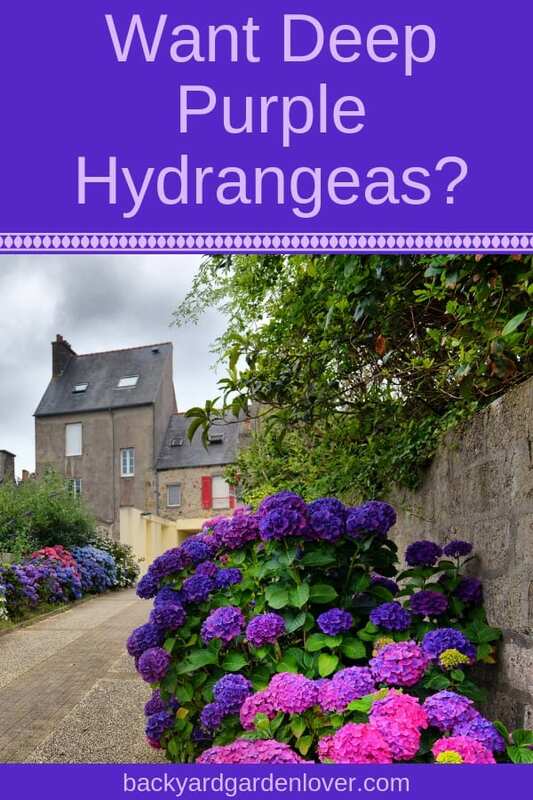 Hydrangeas: A Gardener’s Guide If you really want to control the color of yours, you will do better if they are planted in pots. 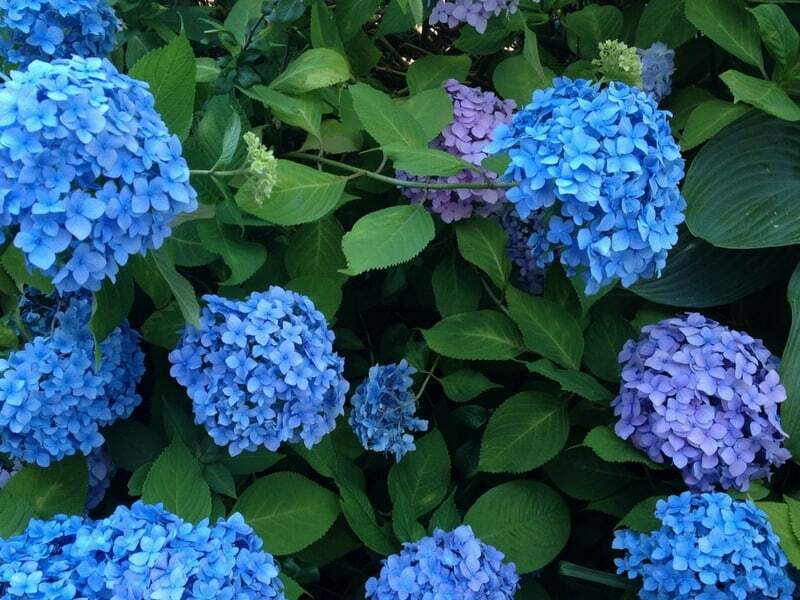 When you have container hydrangeas, you have much more control over the condition of the soil. This makes it easier to control the colors. It doesn’t mean you can’t change the color of hydrangeas that are planted in the ground; it just means it can take more work. When hydrangeas are planted or transplanted, they will often change colors on their own. This is because they are adjusting to their new environment. It can take some time to see what color they will settle in with and keep, because it takes time for them to fully adjust to new soil. Some things to note when you are just getting started: while it is possible to change the colors of your hydrangeas, you have to work with what nature has given you. This means that there are some limitations. 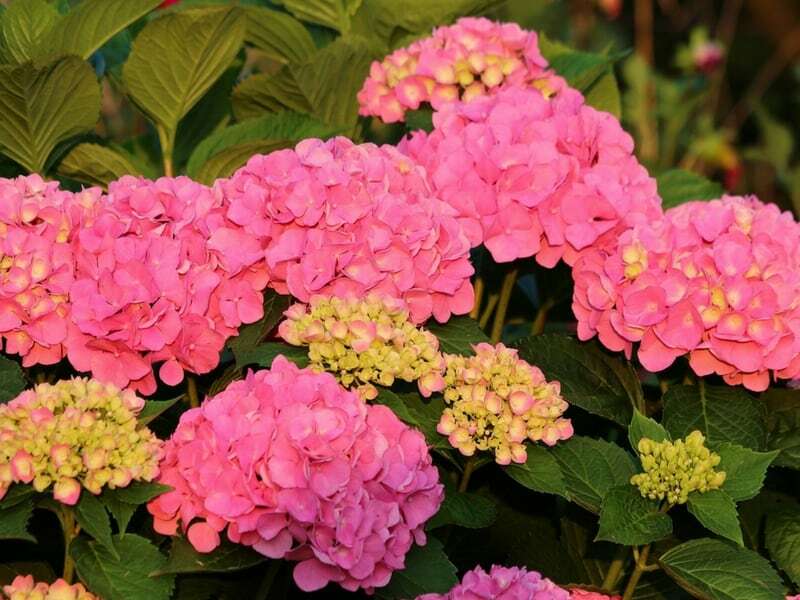 If you want to change the color of the hydrangea blooms, you must first be familiar with these limitations. You cannot change white hydrangeas to pink or blue. Sometimes white can become pink or red as they age, but it’s not guaranteed and there’s nothing you can do to really influence this. 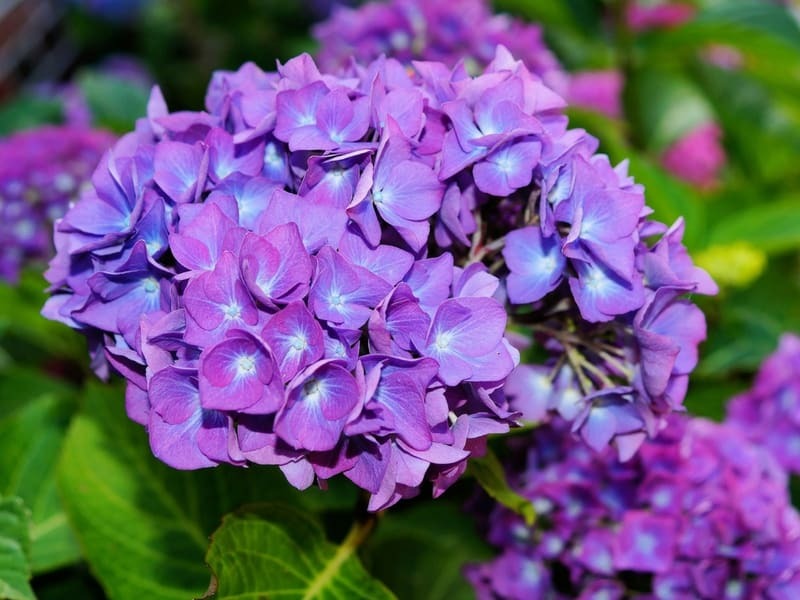 It’s difficult to change the intensity of the color of a hydrangea bloom. This means that while you can get it to turn blue or pink, you can’t change the brightness or shades of pink and blue. You have to just let the blooms do this on their own and accept what nature gives you. There are several reasons for this, such as the heredity of the plant, the weather conditions, and the health of the plant. If you live in a very hot climate, you will likely never see deep shades of red. They just don’t do well in the very warm climates. You can get a dark pink, but people in the south usually don’t see a true red. You might be able to do so if you’re raising them in containers. 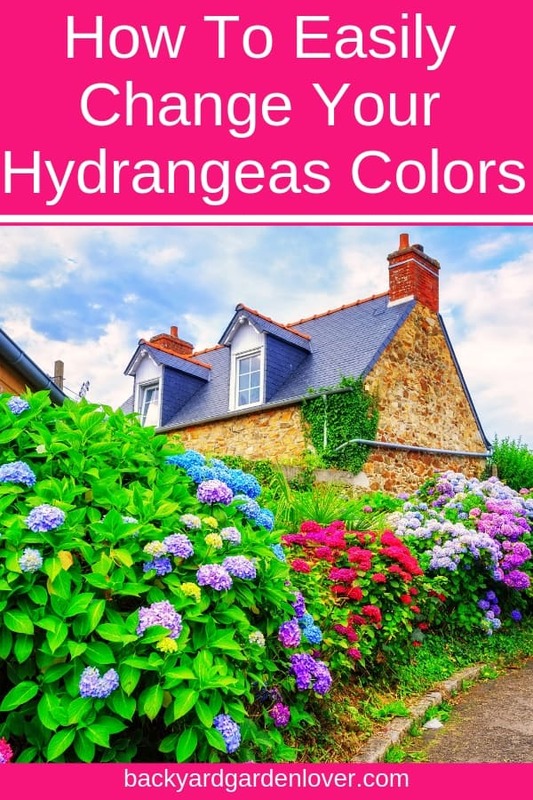 Now that you know the limitations on color changes, let’s take a look at how you can get your hydrangeas to change to some of the common popular colors. Related: Caring for hydrangea trees. 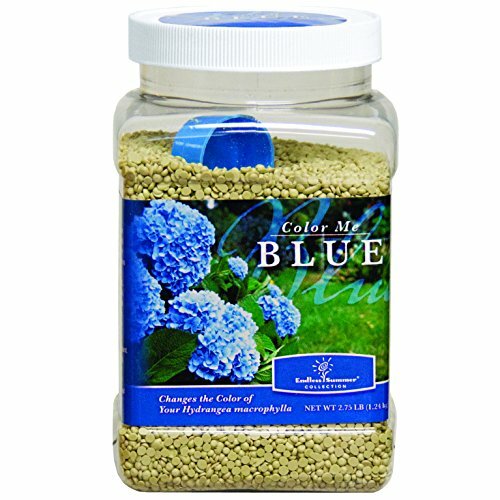 Bonide Products 56428 Bailey Nurseries and Bolide have teamed up to bring you an all natural way to acidify the soil to turn Hydrangeas blue Hydrangeas turn blue based on the pH of the soil they are in. A pH lower than 6.0 will typically give you blue or lavender-hued flowers. When the pH is above 7.0 (alkaline), it gives pinks and reds. 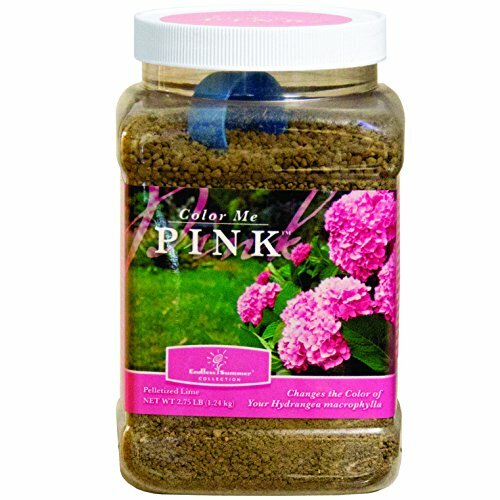 If you have a pink hydrangea and you want it to be blue, you need to bring those pH levels down in the soil. 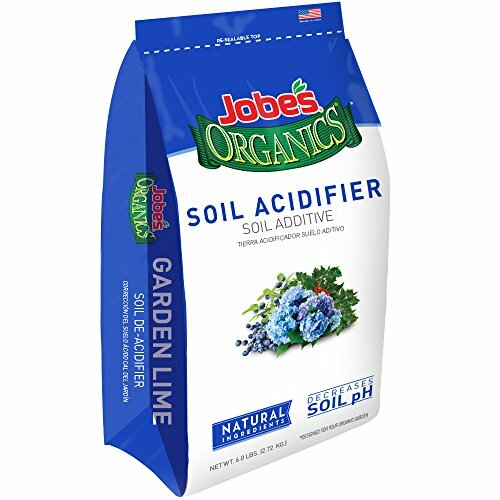 You can do this by adding sulfur or aluminum sulfate to the soil itself. If your blooms are currently pink, that means your soil is naturally alkaline. You can turn them blue by adjusting this and making the soil acidic. Using an aluminum sulfate to keep them blue? Add about 4 tablespoons of it to a gallon of water and drench the base of the plant about every 2 to 4 weeks. Love blue? Here’s my favorite collection of blue flowers. Bonide 56429 Pink Fertilizer, 2.75-Pound As we said above, the color is determined by the pH levels in the soil. If the flowers are pink, it means they are taking up aluminum from the soil, but if they are blue, it means they are not. If you want to make them pink, you need to ensure they are getting aluminum from the soil. To check the pH levels of the soil, get a testing kit. You can also take a soil sample to a county extension office for testing. Most people prefer to get kits and do it at home, so they have more control over testing and working with the colors. 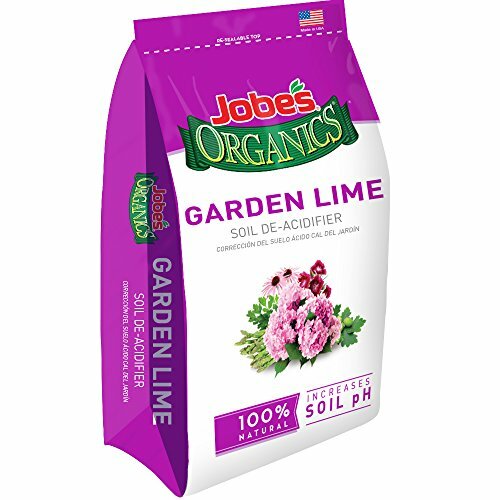 You can raise the pH levels by adding lime to your soil. If you want to try it, just follow the instructions on the product you buy. When you’re done, use your testing kit to check the level of the soil again. You may have to do this several times to get the level range you want, and it might still take several months for the flowers to change to the colors you want. This will require patience. The plants have to adjust to their new soil conditions, so this takes place over time. If it happened rapidly, they’d probably just die. 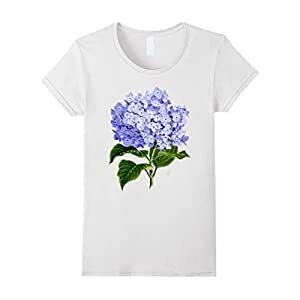 Women’s Delightful Hydrangea Tee Small White If you keep these plants, you may already know that they can also turn purple. Or maybe you’ve seen them in a beautiful purple color and you want to know how to achieve that for yourself. Well, in strong acidic soil (pH below 6), flowers turn blue. In alkaline soil (pH above 7), flowers turn pink or even red. 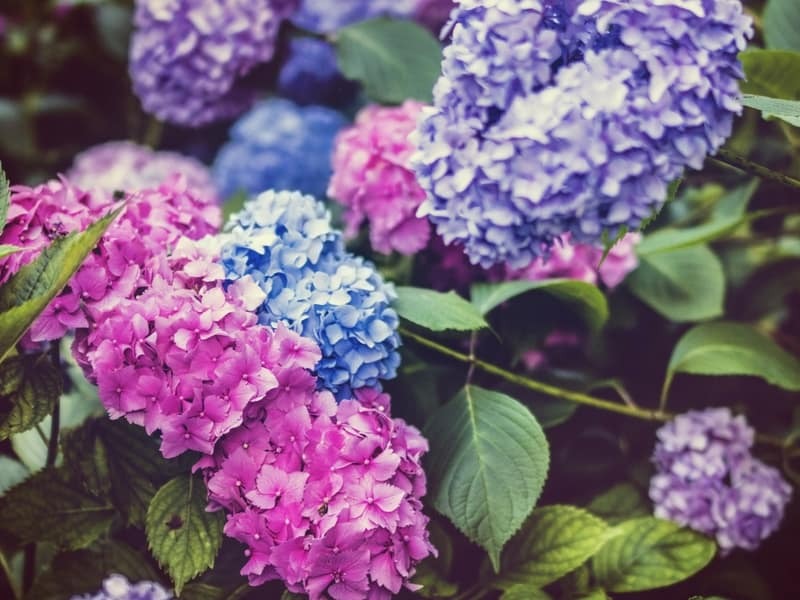 In slightly acidic or neutral soil (pH 6 to 7), you may get a purple color, or you could get blue and pink in the same bloom. If you want to try this, you’ll need to shoot for a very neutral soil and sometimes finding that perfect balance can take some time. Keep testing your soil until you achieve that neutral range of pH 6 to 7. You may need to add more of one ingredient or the other, until you get consistent results right where you want them. Then, just give your blooms time to adjust to the changes and you should start seeing their colors change accordingly. 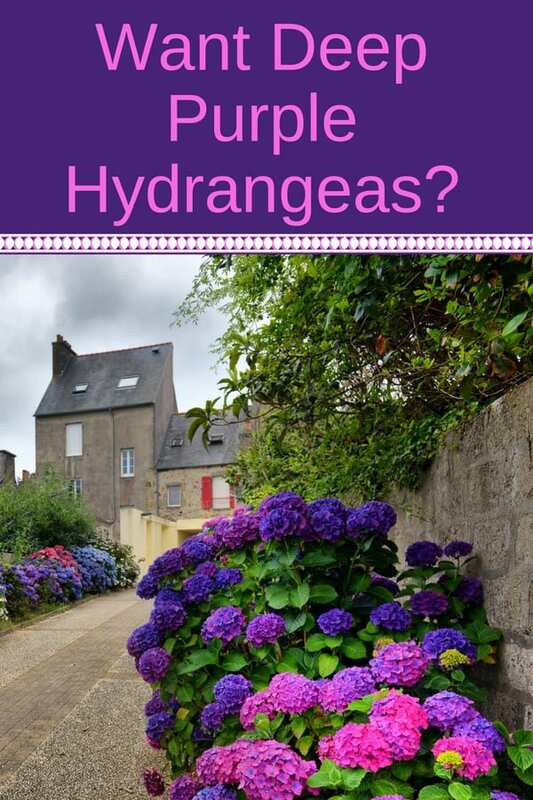 Now that you have these tips, you can figure out easier how to change the color of your hydrangeas. 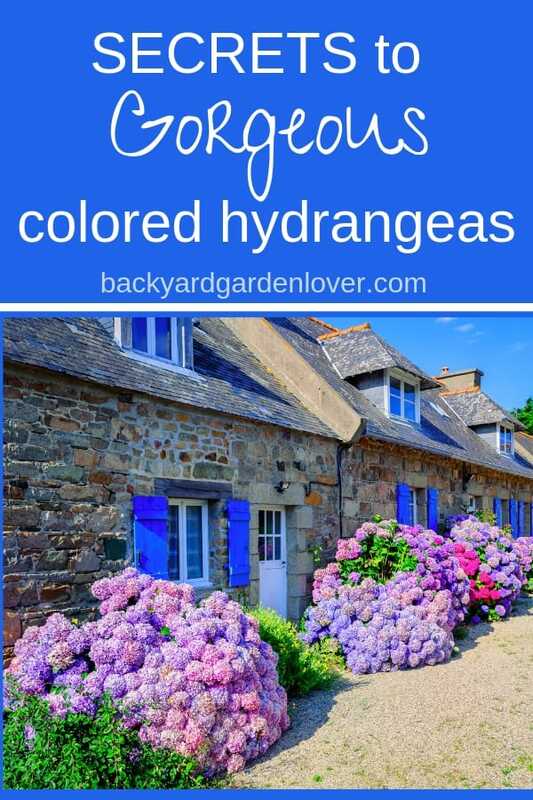 Now that you know how to change hydrangea colors, you’ll be the envy of your neighborhood. Plant a few more hydrangea plants and enjoy the beautiful color show! Hi, I had hydrangea flowers bought in a pot, one flower was pink one was blue/purple. They have turned green. Still pretty, but not what I wanted. Can I change them back? It’s normal for some to turn green as they age. I have a beautiful yard stick wide plant..which has Never had a bud..it was from my mothers yard 16 years ago..healthy lush but won’t bud..any ideas. If they are not getting enough sun, the plant will be green and lush with no flowers. Learned that…..had to move one to a few different places to get it right. Read the tag on the plant when you buy it and plant it according to the directions. could be that it is a non hardy hydrangea and the winter is too cold for it to keep blooms in the summer. You can try covering it for the winter with a burlap sack. This may do the trick. Thanks for sharing Linda. I’d LOVE to see your hydrangea pictures. I changed a white hyd to light blue using Starbucks coffee grounds. i add coffee grounds to the soil of each plant. They are gorgeous colors. Hydrangeas prefer morning sun with some afternoon shade. And they don’t like wind, so plant them where they are protected from strong winds. Mine has black spots on the leafs, how do I treat them? Spray it with a multipurpose fungicide ASAP. What is the best way to split a big bush? It’s pretty easy. Dig it out and split the root ball in two using a shovel. 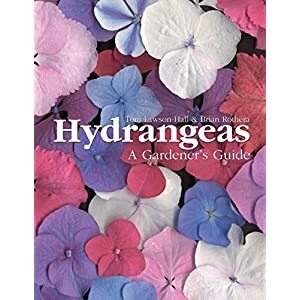 I found this advice most helpful I love hydrangea and are about to plant a dozen of these. I want to plant different colours. When I bought my home, it had an established hydrangea bush that blocks the outside facuet. It is huge about 3 to 4 feet across. Can I seprated the bush? If so how and when? Yes, you can divide your hydrangea bush. The bets time to do it is in late fall after all leaves fall off and the plant is ready to go dormant for the winter, or in early spring before it starts coming back to life. My plants are huge but now only get 1or 2 flowers a year. After the greenery dies I get wood stalks that I cut down close to the grown in the late fall. Am I doing something wrong? You might. Some hydrangeas bloom on old wood and some on new growth, so depending on your type of hydrangea, you might need to let the new growth for next year’s blooms. Marluce, depending on what type of hydrangea you have, pruning might not be the right thing to do. Some hydrangeas bloom on old wood, and some on new wood. Are white hydrageans all Annabel’s? No, there are many types of white hydrangeas: oakleaf, panicle, bigleaf, etc. I have a rhododendron bush that hasn’t bloomed in 10 years. any ideas? The bush is healthy. Thank you for the lesson on how to make blue go to purple, I have learned more from you and this article than I did from the book I bought on the subject well written and easy to understand.! We just moved to NC from Florida and we have divided all the hydrangeas to go across the entire backyard, I cannot wait until spring 2019. THANK YOU. Thank you for the kind words. I’m glad this helped. I have had one for about 5 yrs and it gets beautiful green in the spring but the deer and rabbits chew it all off, I have tried everything on and around it to keep them away but nothing works so I guess I just have food for them.